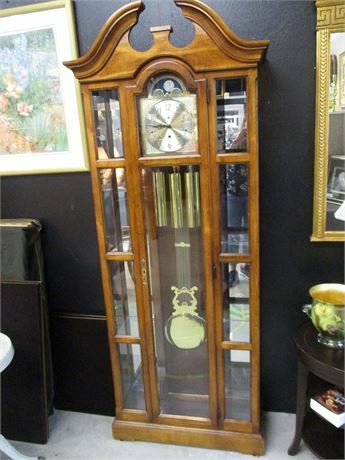 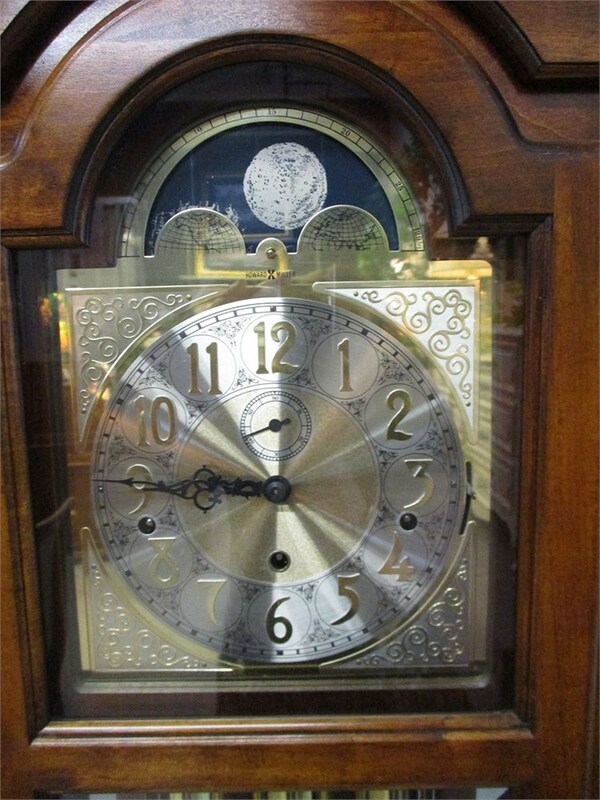 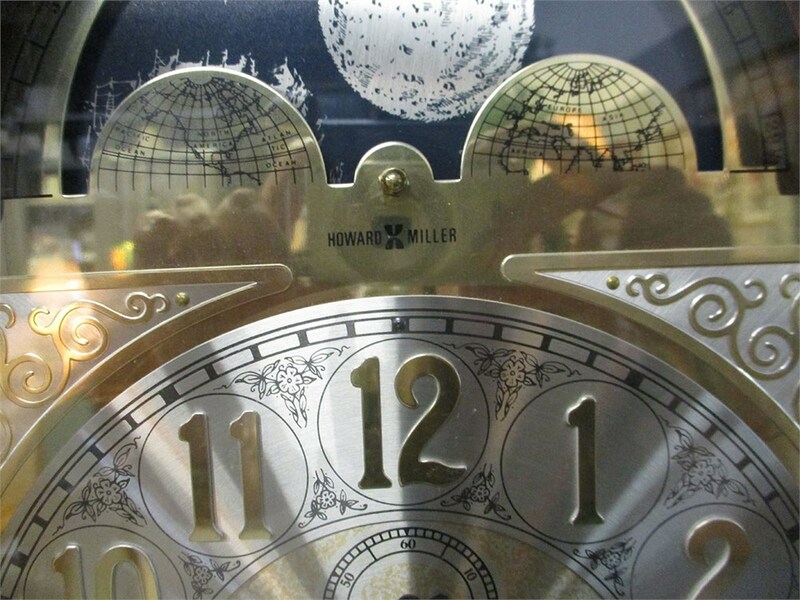 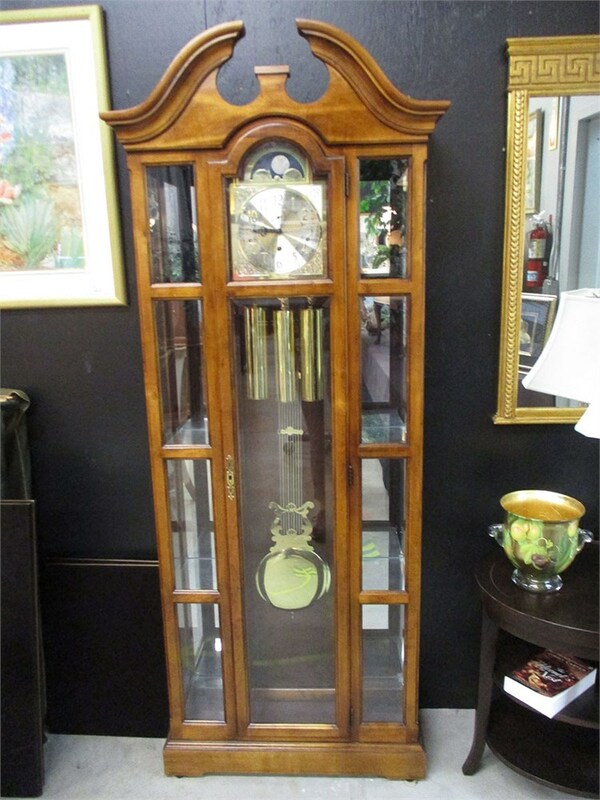 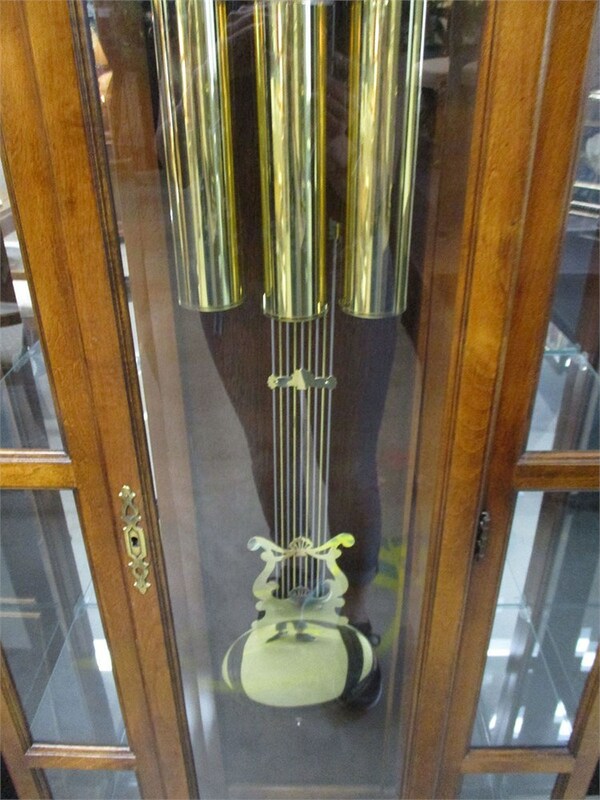 This stunning Howard Miller grandfather clock has curio shelves on each side to display your beautiful things. 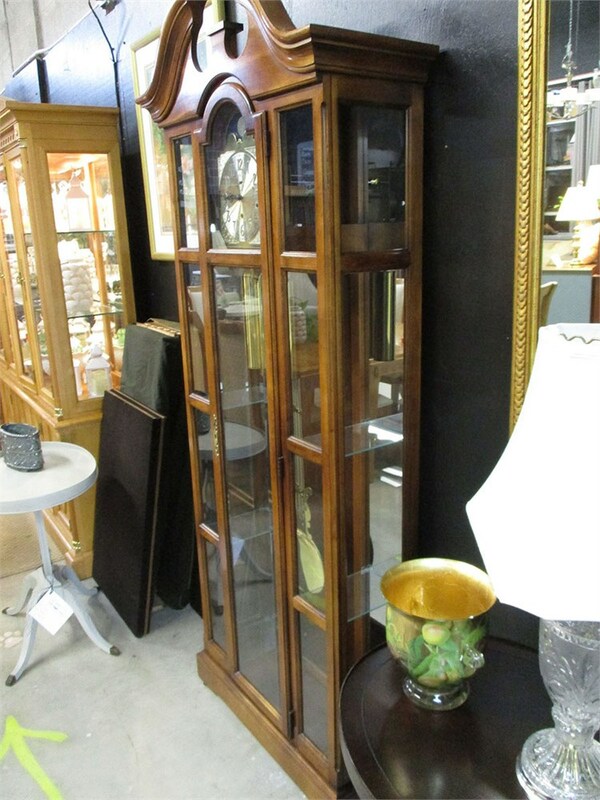 The swan pediments add that graceful touch. 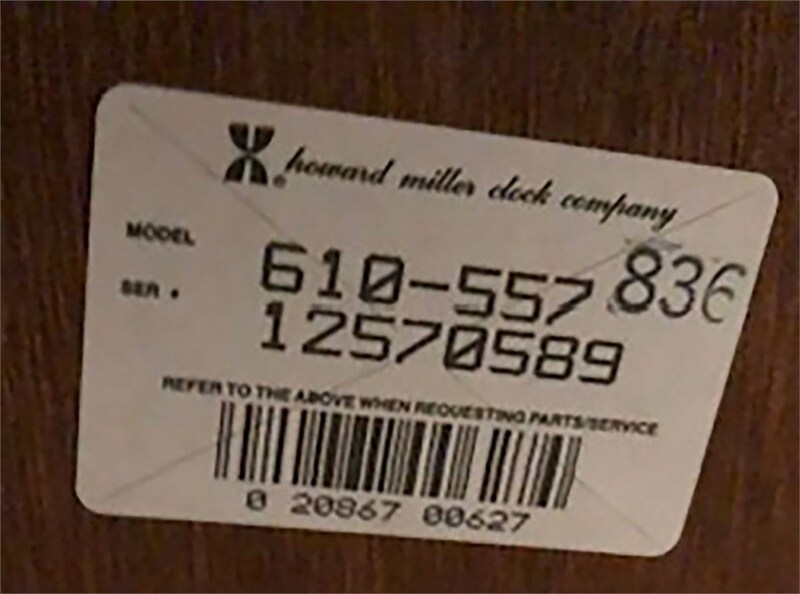 Serial number is 12570589.